Eligible candidates are invited to attend Walk In Interview for the post of Programme Co-ordinator - TNJFU-Business School, IFPGS-OMR campus, Chennai purely on temporary basis. 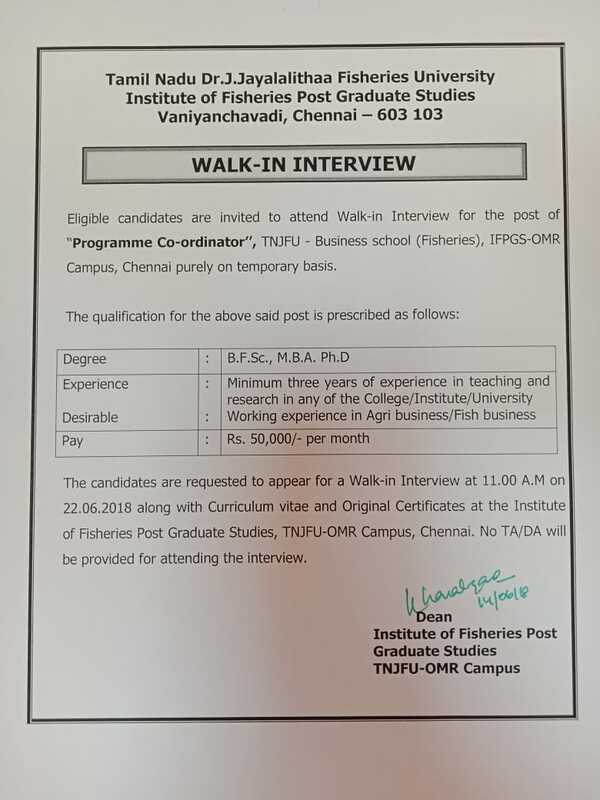 The candidates are requested to appear for a Walk-in-Interview at 11.00 A.M on 22.06.2018 along with Curriculam vitae and Original Certificates at the Institute of Fisheries Post Graduate Studies, TNJFU-OMR Campus, Chennai. No TA/DA will be provided for attending the interview.